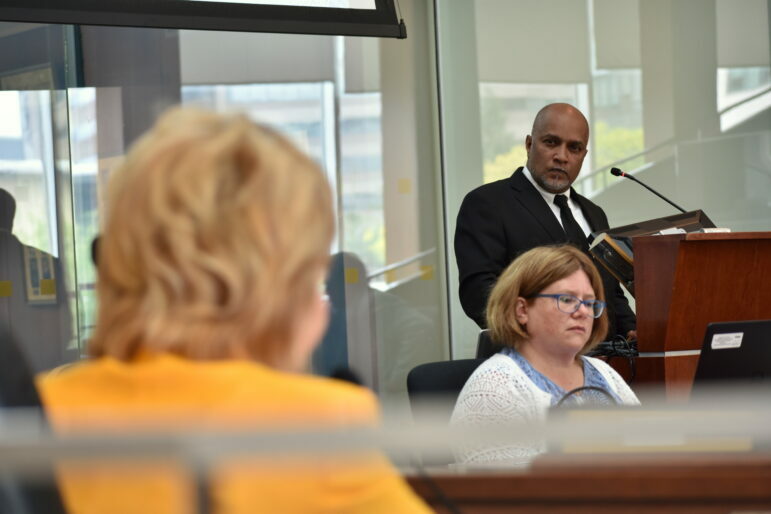 The father of the late Jasmin Hanif, Shakeel Hanif, addressed City Council’s Public Works Committee this morning calling on Councillors to make Hamilton’s streets safer. 10-year-old Jasmin Hanif died after being struck by a vehicle on Evans Road. She was crossing the street in front of her home. Hanif opened by calling on Council to adopt Vision Zero – a declaration that road related deaths are not acceptable, combined with implementing changes necessary to prevent road deaths. Shakeel Hanif, father of the late Jasmin Hanif, address City Council calling for Vision Zero on June 5, 2017. Jasmin died on May 16, 2017 after being struck by a vehicle on the street in front of her home. She was 10 years of age. Ferguson described Vision Zero as a “anti-car” initiative, criticizing the Cycling Committee’s language that included vehicle pollution as causing the premature death of over 100 Hamiltonians, and those who died from collisions as being “crushed to death”. Councillor Tom Jackson wanted reassurance that receiving the minutes did not commit Council to Vision Zero, saying he is awaiting a staff report on the concept. After much debate, Council received the minutes. Shakeel Hanif was the second delegation of the meeting, and very professionally stood in front of Council. At times, he had to hold back his emotions; he daughter died exactly three weeks prior. 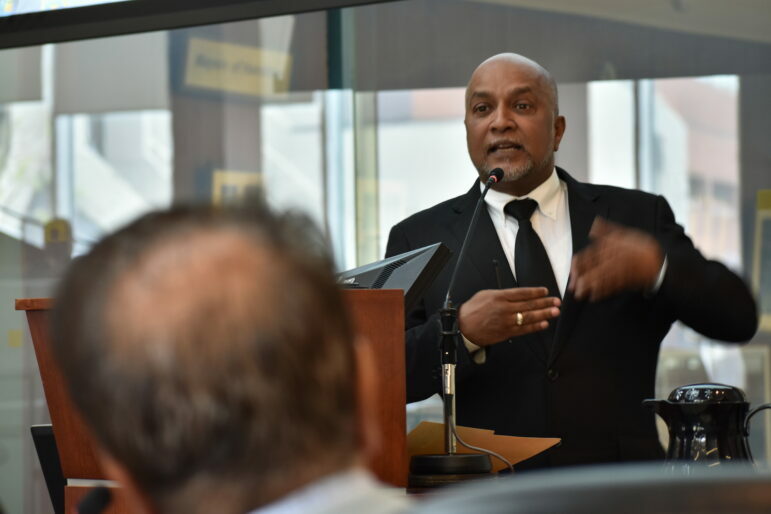 “What they did was play Russian roulette with my daughter’s life”, Shakeel Hanif told Councillors, referring years of deferral on road safety. “If we act now maybe we can save another life”. Most Councillors paid close attention during Hanif’s delegation. Afterwards, each individually offered condolences to Hanif and his family. Councillor Judi Partridge promises safety improvements on Evan’s Road to Shakeel Hanif, father of the late Jasmin Hanif. Hanif addressed City Council calling for Vision Zero on June 5, 2017. Jasmin died on May 16, 2017 after being struck by a vehicle on the street in front of her home. She was 10 years of age. After Council’s discussion of a staff report on road safety, Council debated two-way conversion and traffic calming on Queen Street in Ward 2. Councillor Lloyd Ferguson came out swinging against traffic calming in the Lower City. Expressing anger at the Wards 1, 2, and 3 Councillors who for the Ward Boundary Review, Ferguson declared he will not support any more changes to Lower City roads. In the end, other than changes to Evans Road, Council made no commitments.